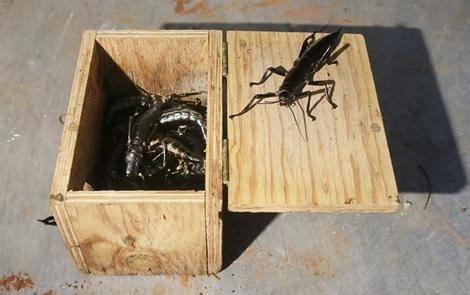 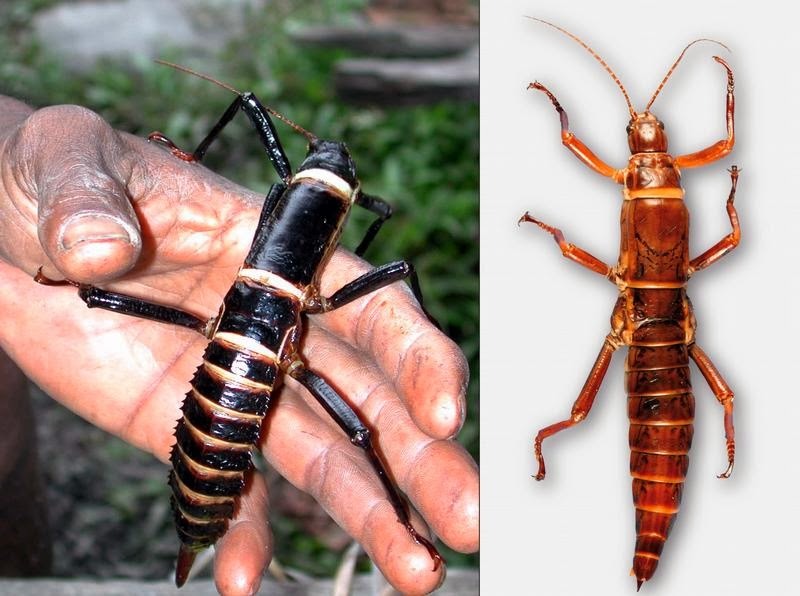 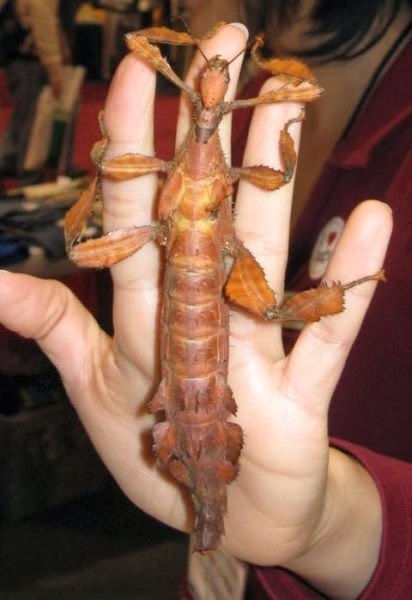 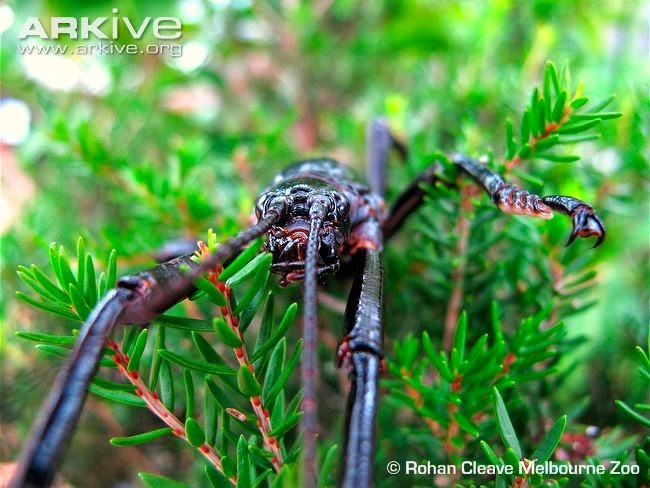 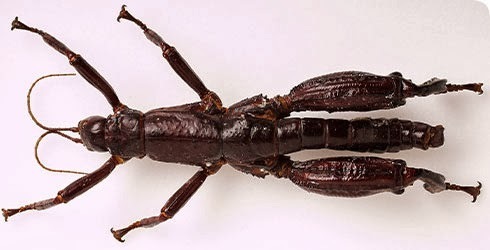 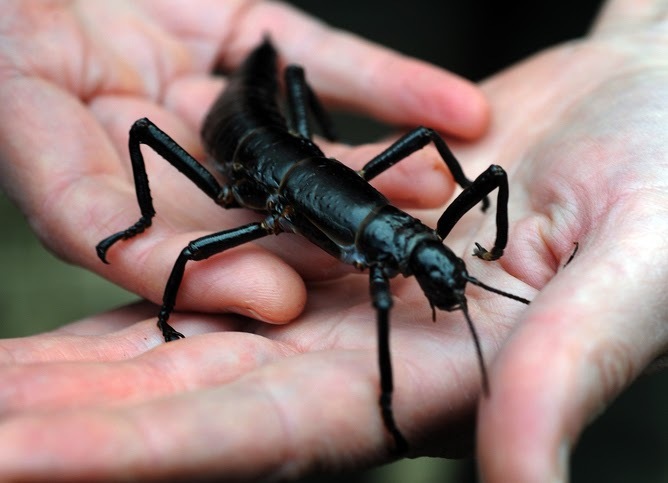 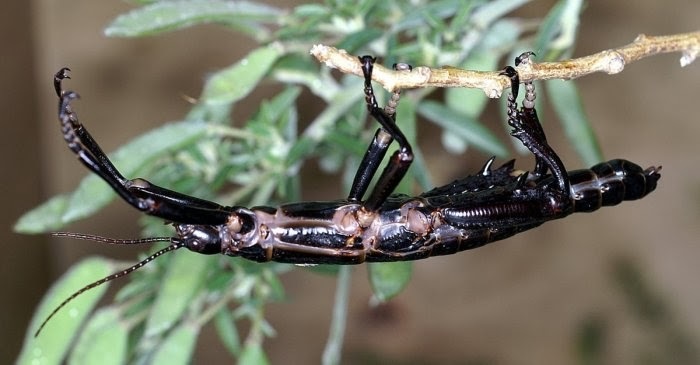 Dryococelus australis, commonly known as the Lord Howe Island stick insect or tree lobster, is a species of stick insect which lives on the Lord Howe Island Group. 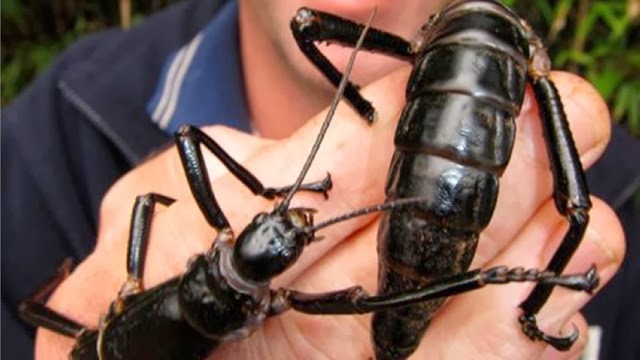 It was thought to be extinct by 1930, only to be rediscovered in 2001 (this phenomenon is known as the Lazarus effect). 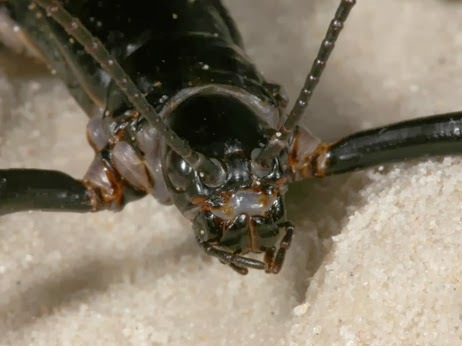 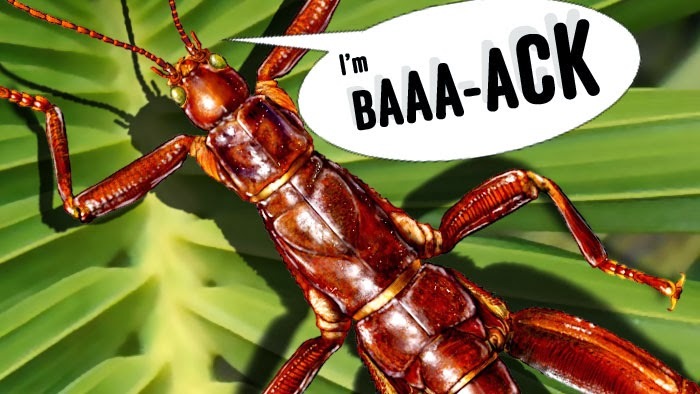 It is extinct in its largest habitat, Lord Howe Island, and has been called "the rarest insect in the world", as the rediscovered population consisted of 24 individuals living on the small islet of Ball's Pyramid. 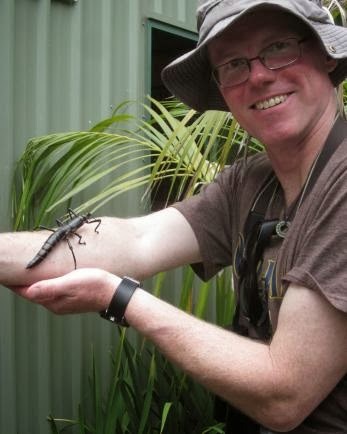 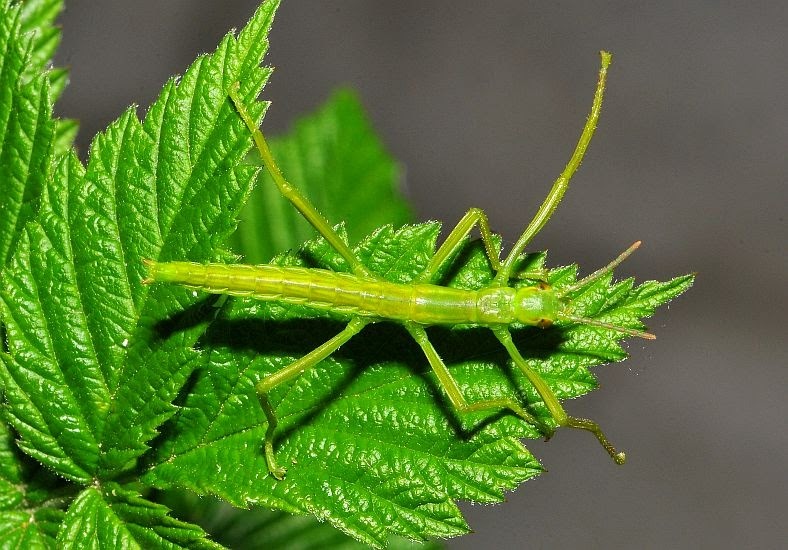 The stick insects were once very common on Lord Howe Island, where they were used as bait in fishing. 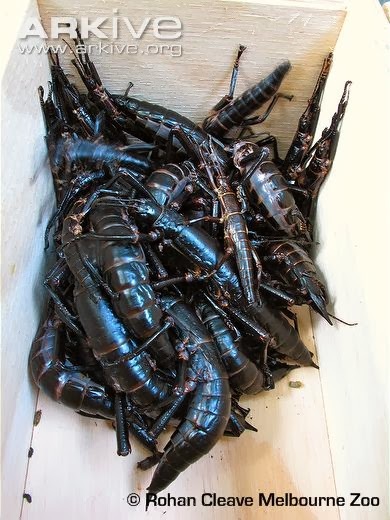 They became extinct there soon after black rats were introduced to the island in 1918 when the supply ship S.S. Makambo ran aground. 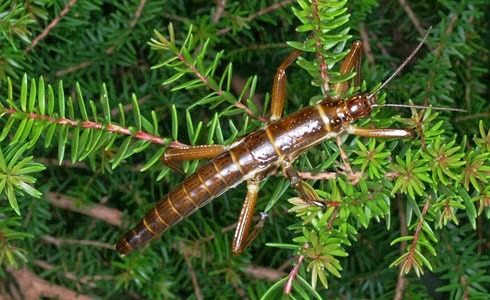 The last one was seen on the island in 1920, and after that the species was thought to be extinct. 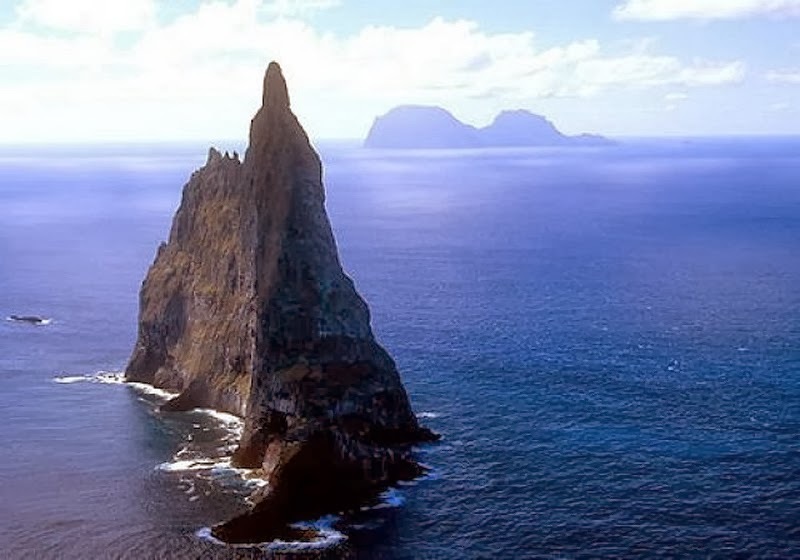 In 1964, a team of climbers visiting Ball's Pyramid, a rocky sea stack 23 kilometres (14 mi) south-east of Lord Howe Island, discovered a dead Lord Howe Island stick insect. 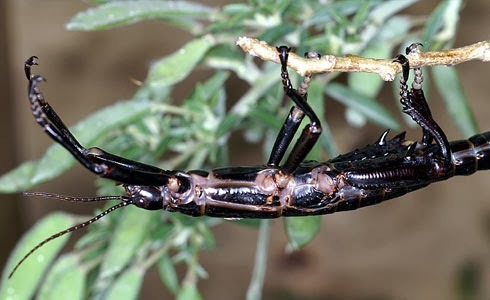 During subsequent years, a few more dead insects were discovered, but expeditions to find live specimens were unsuccessful. 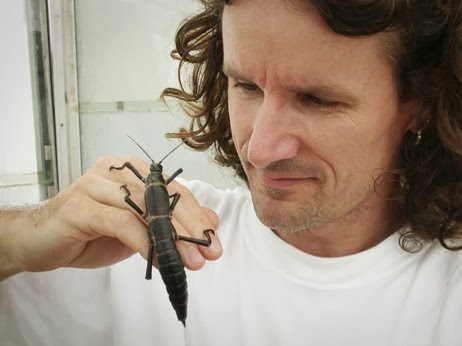 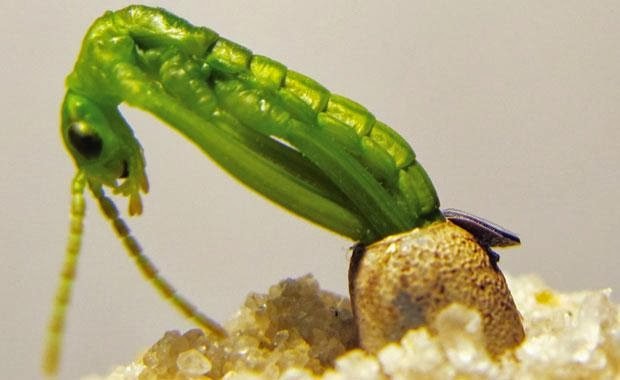 In 2001, two Australian scientists, David Priddel and Nicholas Carlile hypothesized that there was sufficient vegetation on the islet to support a population of the insects, and with two assistants traveled to the island to investigate further. 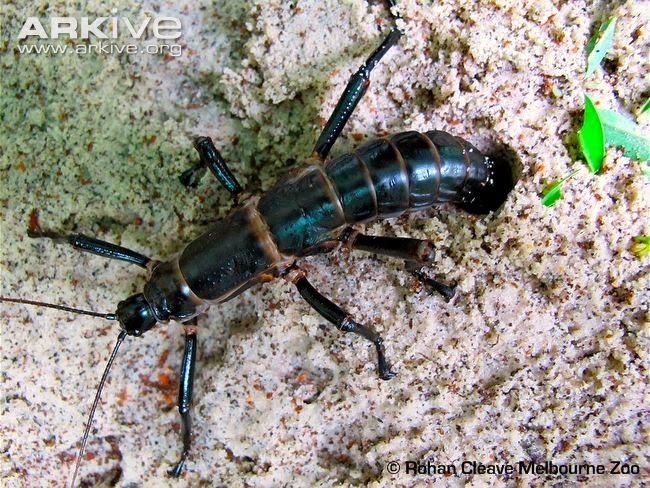 They scaled 500 feet of rock, but only found crickets. 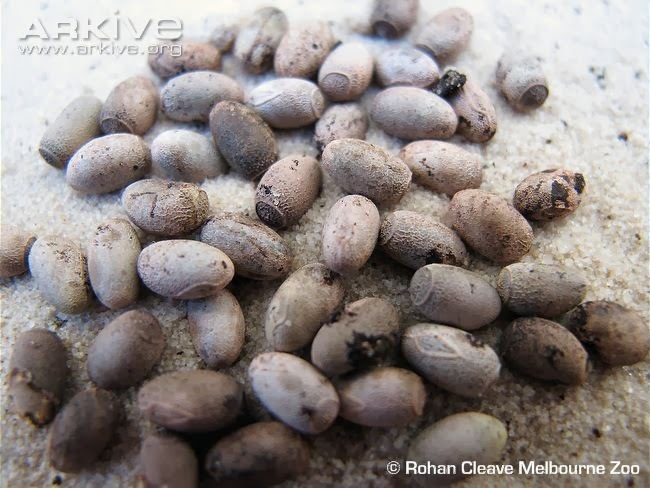 On their descent, the team discovered large insect droppings under a single Melaleuca shrub growing in a crevice approximately 100m (330 ft) above the shoreline. 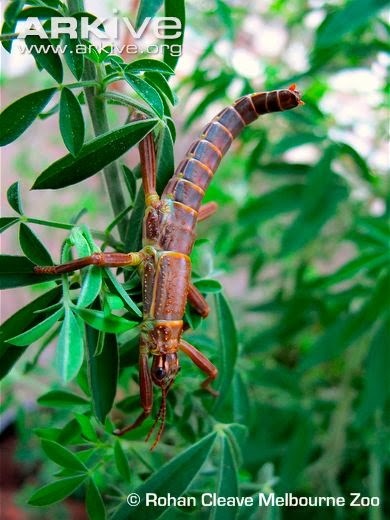 They deduced that they would need to return after dark, when the insects are active, to have the best chance of finding living specimens. 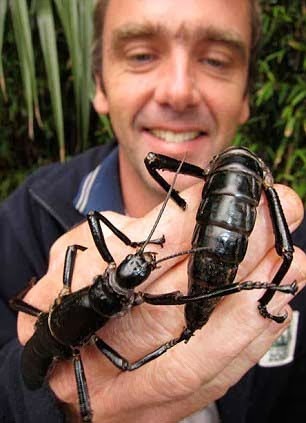 Carlile returned with local ranger Dean Hiscox and, with a camera and flashlights, scaled the heights again. 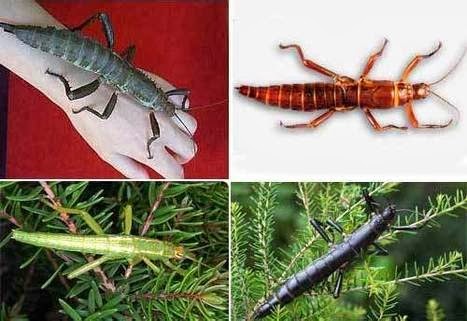 They discovered a small population of 24 insects living amongst a substantial build up of plant debris beneath the Melaleuca shrub. 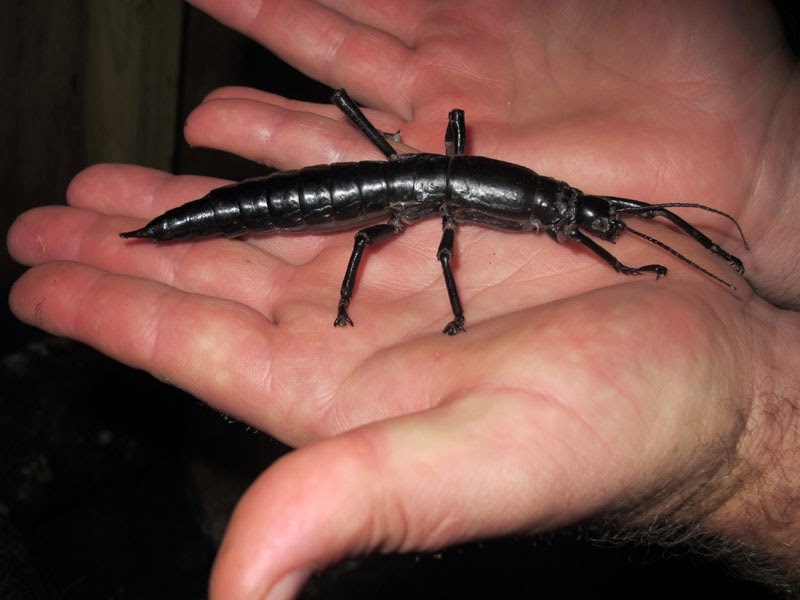 I found one of these in South Texas.